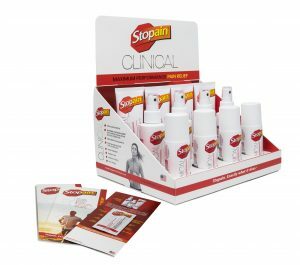 The entire Stopain® Clinical pain relieving product line, including Stopain® Clinical and Stopain® Clinical Migraine & Headache, was specifically designed for the healthcare professional market and cannot be found in retail markets. 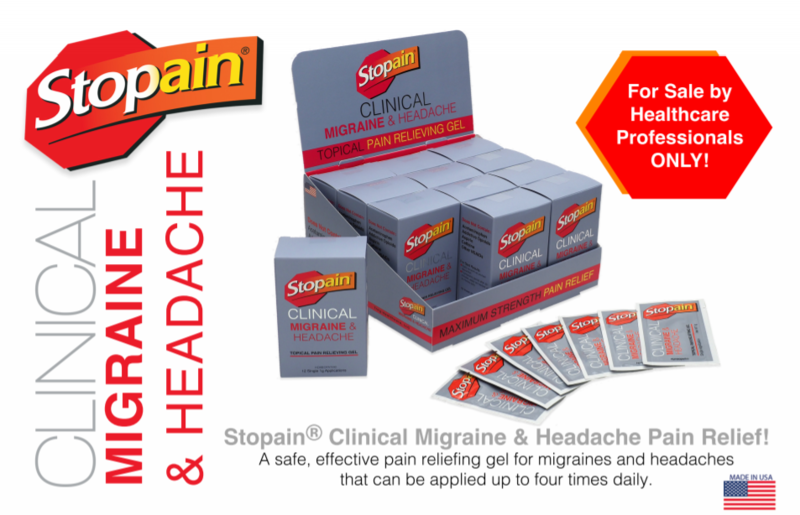 Stopain Clinical Migraine & Headache is formulated to provide immediate, safe and effective penetrating pain relief. 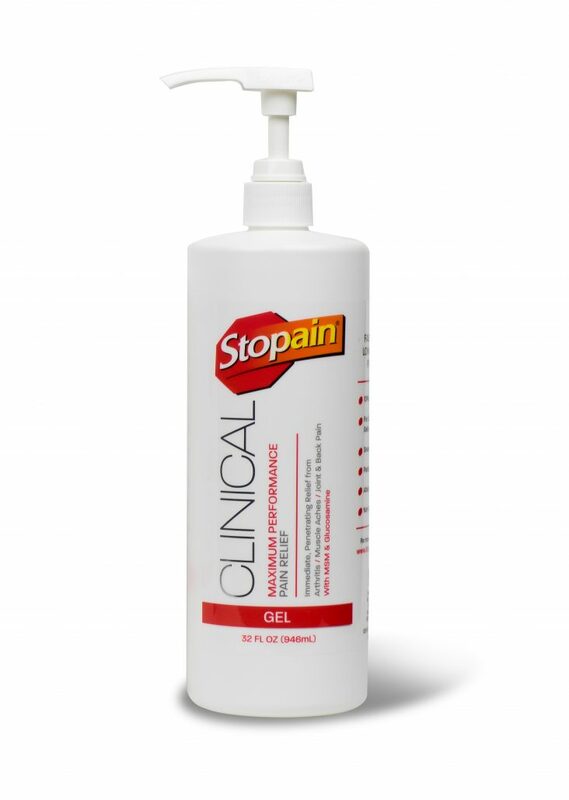 Results from Frontiers in Neurology White Paper concluded a significant improvement in headache intensity by 2 hours after gel application. The Study at Thomas Jefferson Headache Center shows that 2 hours after the application 52% had significant improvement by at least one severity level and 32% had no pain progression. For best results use the entire contents of the packet and apply as soon as you feel discomfort. If after 30 minutes symptoms persist, apply a second packet. 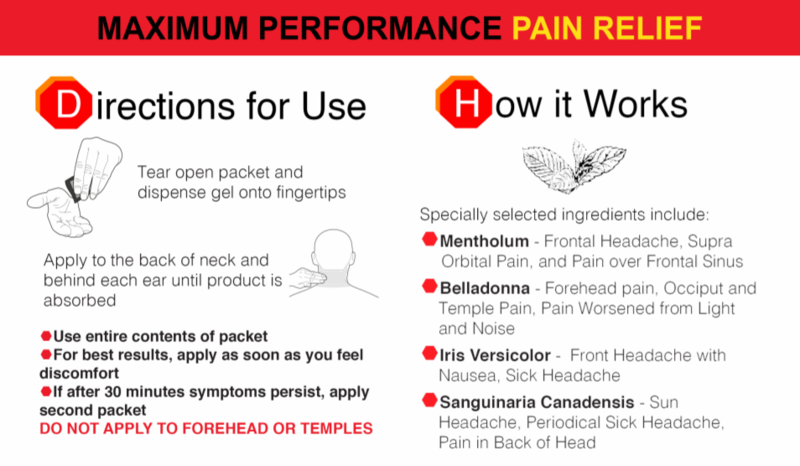 Fast, safe and effective relief from migraines and headaches with no known drug interactions. If symptoms persist after 30 minutes, apply a second packet. A packet can be applied up to four times daily. 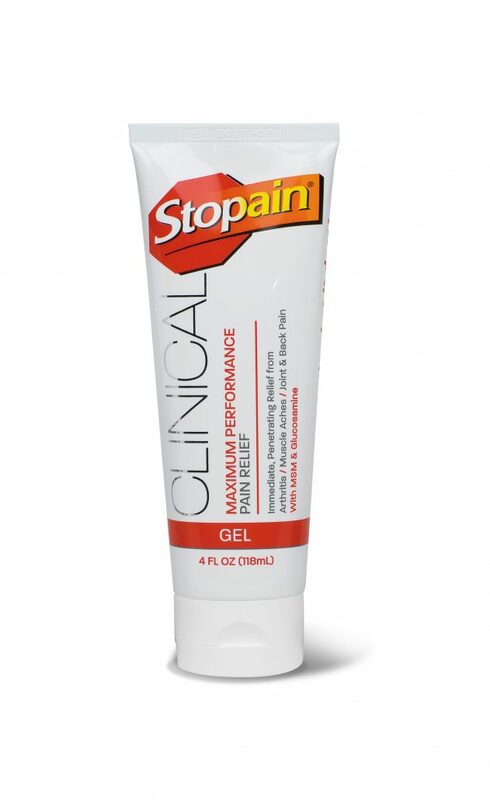 For best results, apply as soon as you feel discomfort. If after 30 minutes the symptoms persist, apply a second packet. A packet can be applied up to 4x daily. Avoid contact with eyes. If gel gets in eyes or on mucus membranes flush with cool water for 1-2 minutes. 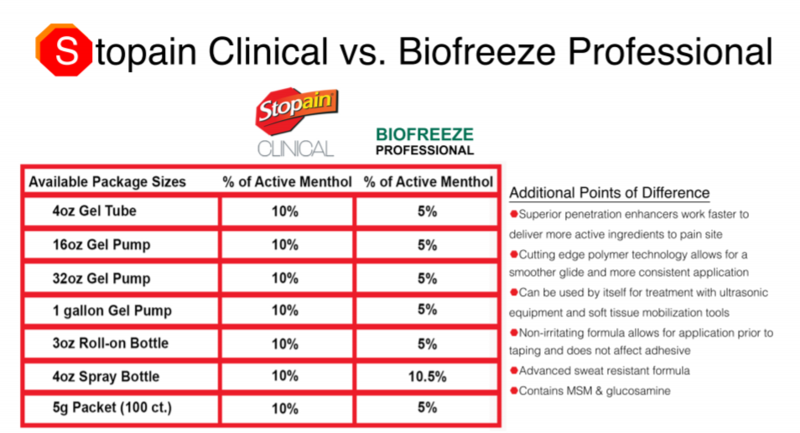 Advanced formulas contain 10% active menthol with MSM & glucosamine. 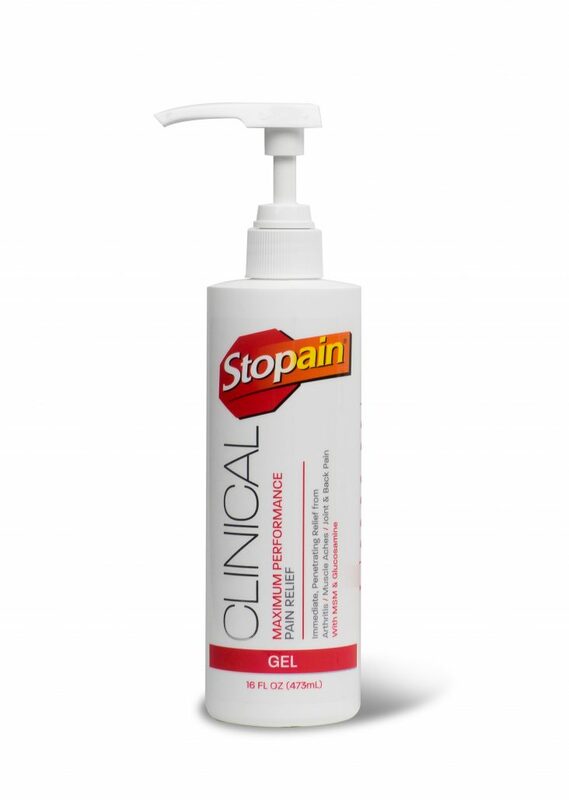 Every ingredient in Stopain® Clinical was selected with the purpose of developing the most innovative and effective topical analgesic. Penetration enhancers work on contact to provide your clients with fast and effective pain relief. 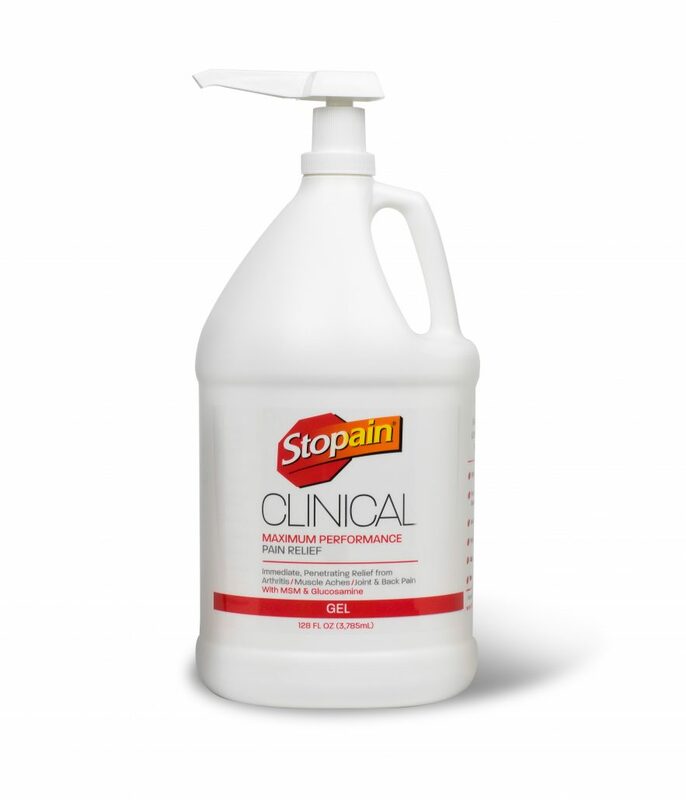 Sweat resistant formula makes it ideal for use before, during and after workouts, as well as rehabilitation therapy. 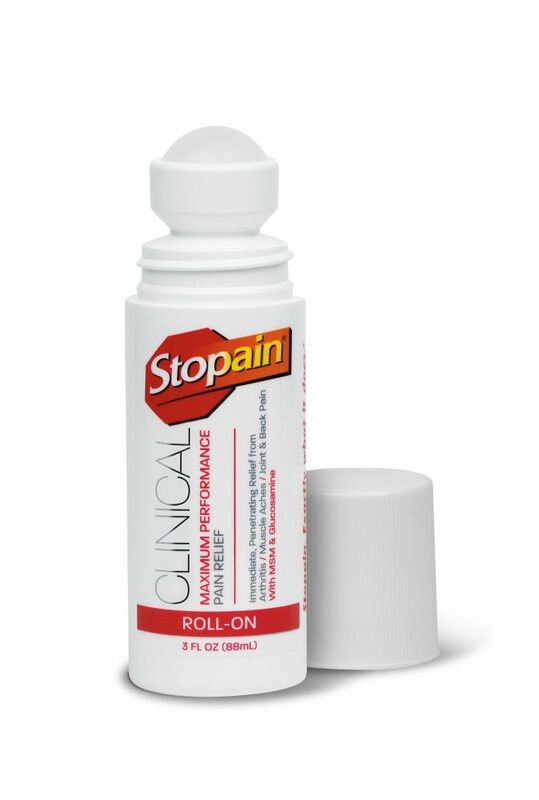 Cutting edge polymer technology allows for a smooth glide and more consistent application. The paraben-free formula contains no dyes or fragrances. 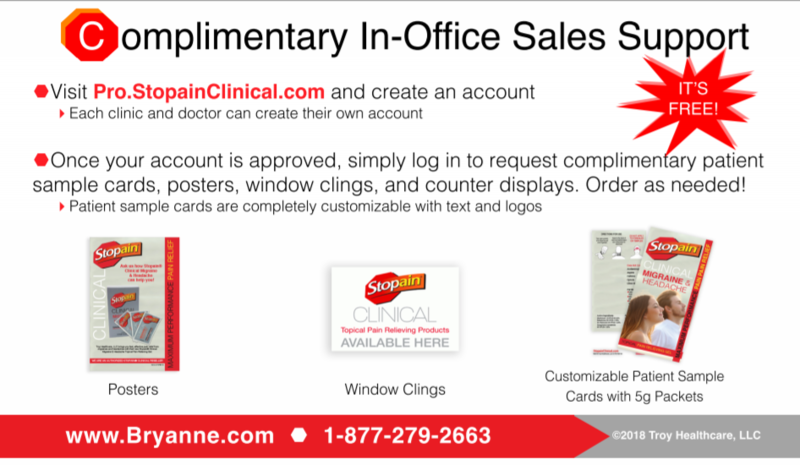 In office support includes displays, posters, window clings, and patient sample cards. Acrylic acid/vinyl ester copolymer, dimethylsulfone (MSM), eucalyptus oil, glucosamine sulfate, hydroxypropylcellulose, SD alcohol 39C, PEG-8 dimethicone, pentylene glycol, peppermint oil, triethanolamine, water (USP). Call Bryanne Enterprises, Inc. Toll-Free (877) 279-2663 – Everyday Low Prices!